While some claims filed with the Department of Veterans Affairs (VA) are quickly processed, others may take a year or longer. To ensure your claim is proceeding smoothly, it’s a good idea to check on it occasionally. To check VA status, call the VA, log into your eBenefits account or visit your regional office. Claims begin in the development phase where the VA adds supporting evidence to your file. This phase is the longest and may require you to submit additional documents or attend an exam. Once all necessary documents are gathered, claims move to the decision phase. Disability compensation claims are worked by a rater, who determines whether disabilities are service-connected and gives each a rating percentage. Non-rating claims such as dependent claims or individual employability claims are authorized or denied. The notification phase includes completion of the notification letter, which outlines the denial or claim award details. If you’re registered for a premium eBenefits account, you can check your status online. Log on to your account, then choose “View My Status” at the top of the screen. Select “Compensation and Pension Claim Status” from the menu, then click on the specific claim for a status. 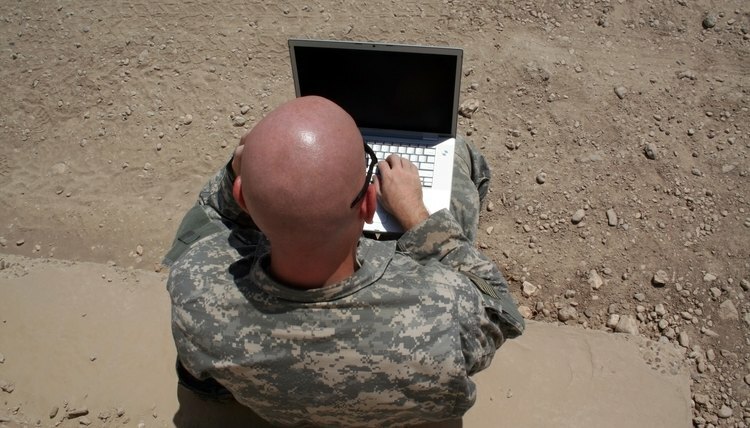 You can see if the VA is waiting to receive documents from you or another source. Claim status is not available on a standard eBenefits account. Answer some security questions online for immediate upgrade to a premium account or call the VA at 1-800-827-1000 for required verification. You may also visit your regional office in person with photo identification to gain premium access. Regional offices do not accept claim status requests over the phone. However, legal administrative specialists in VA call centers across the country will assist you. Provide your claim number or Social Security number and verify your name and branch of service. To protect your privacy, the VA must speak to you directly. You may authorize one other person to receive information with VA form 21-0845, Authorization to Disclose Personal Information to a Third Party. The authorized person must correctly answer the security question on the form to get a claim status. You may also check disability claim status in person at your regional office; visit the public contact team during open interview hours. How Do I Reopen a VA Claim? While your claim is in the development phase of processing, its status may not change for many months. During that time, get additional information about VA claim status by calling the VA. The legal administrative specialist is required to read you a standard script when you ask for a claim status. Ask her to check the notes on the claim and tell you what documents have been recently added to your file so you can get a clearer picture of the work being done. While you’re on the phone, verify your address, email and phone number to ensure you’re receiving requests for information that will move your claim forward. Armstrong, Catherine. "How to Check the Status of a VA Claim." , https://legalbeagle.com/5390565-check-status-va-claim.html. 26 January 2019.